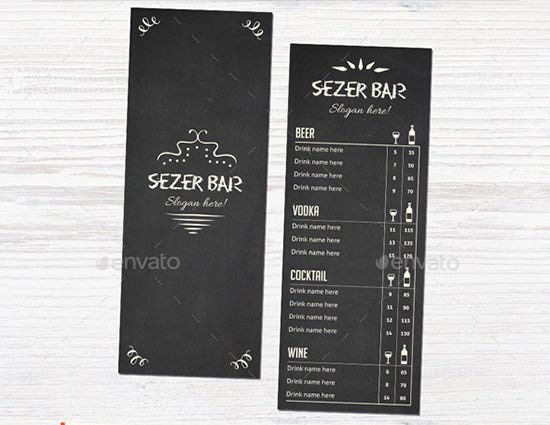 Are you a bar owner? 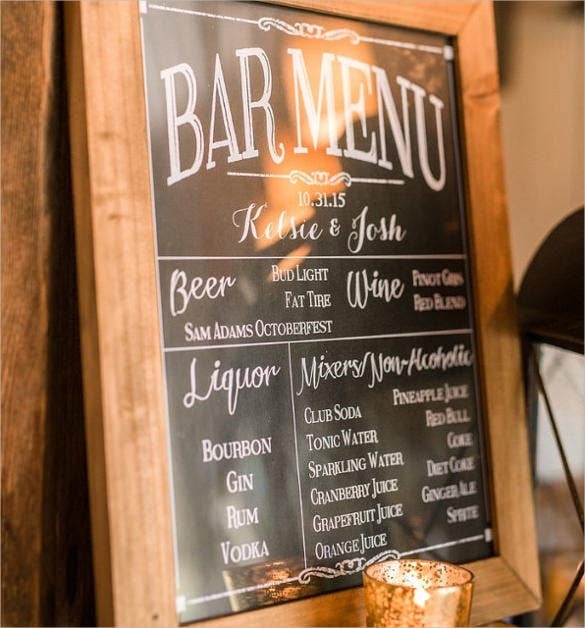 Are you the manager who has to manage a bar? 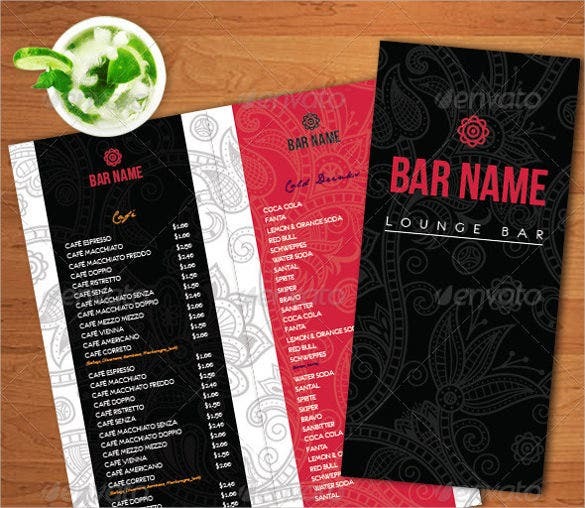 Then, the bar menu template is going to be a perfect tool for you to impress your customers. 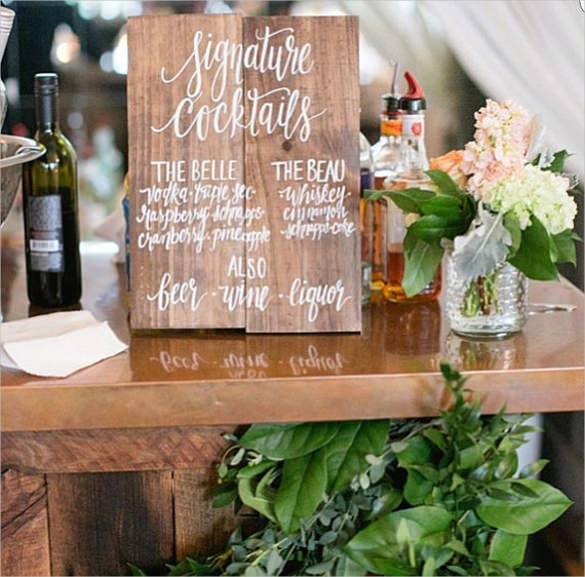 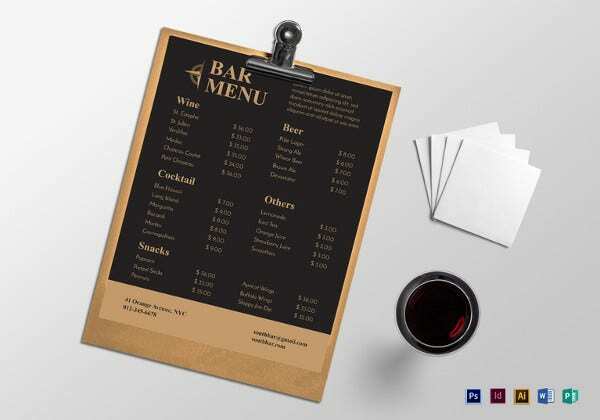 Yes, this is the tool which will help you in deciding the format of your bar menu.Bar being a place where, only the fancier people go; they expect everything to be of their standard whether it is restaurant menu template, ambience of the bar or the management. 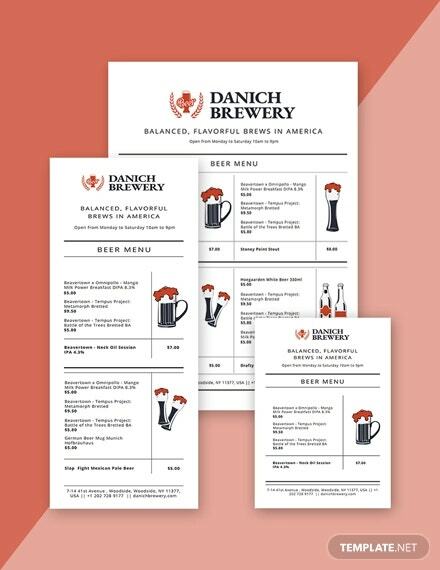 You can also see Beer Menu Templates. 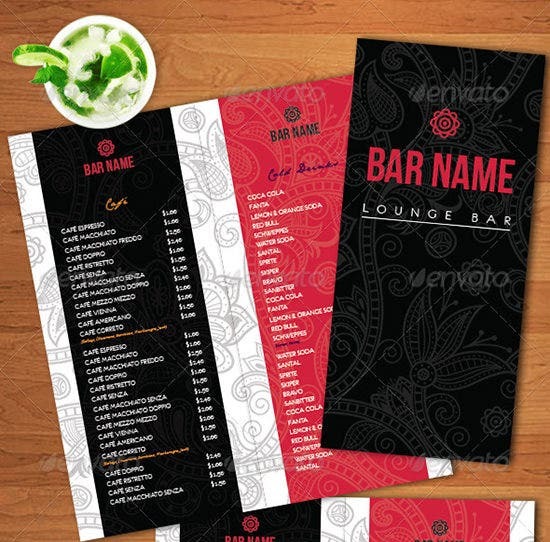 The bar menu design templates are really easy to use and gives you the desired output without much efforts. 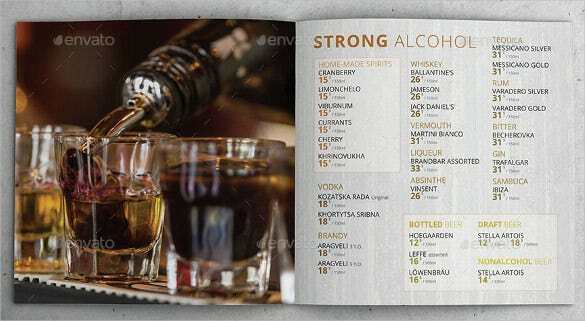 The best part is; it is available online. 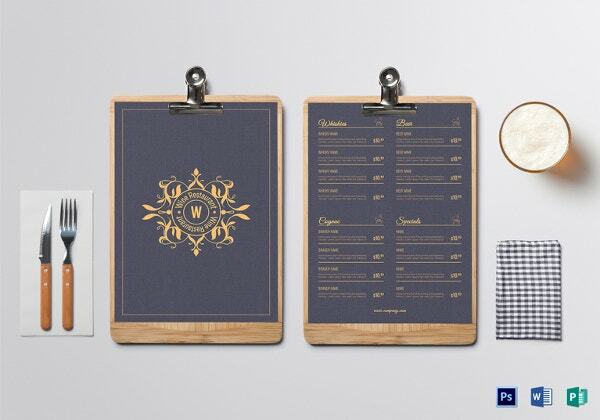 Hence, you can access the Menu Templates from anywhere. 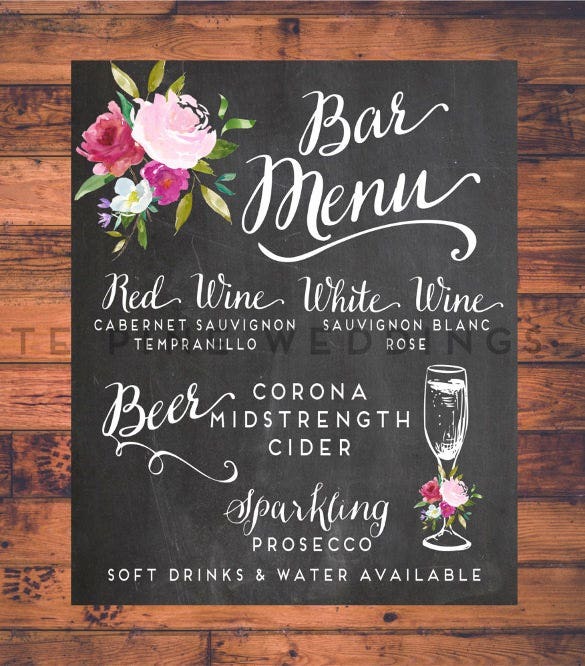 When it is available online, it means it is convenient to attract people who are online too. 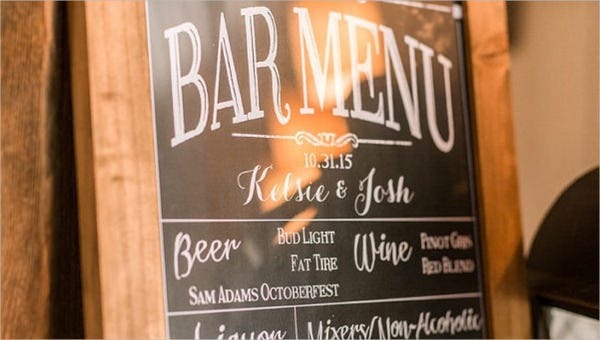 This ultimately increases your customers. 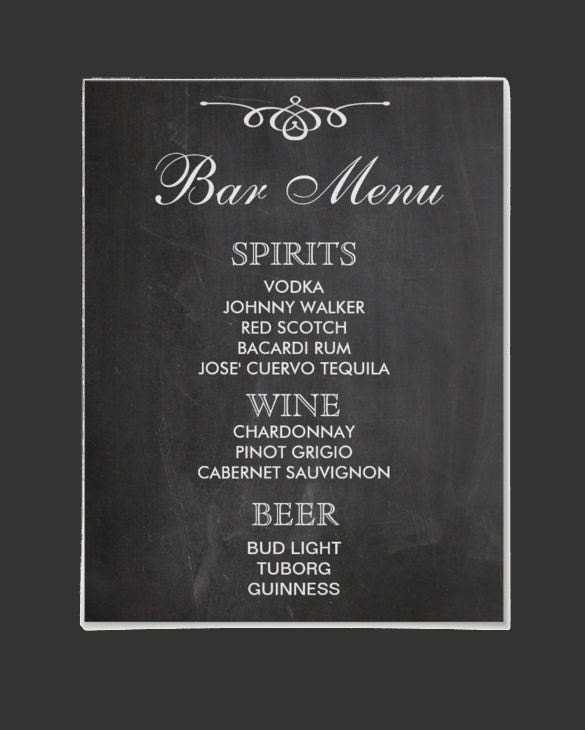 To use it you need to just enter you menu items and that’s it. 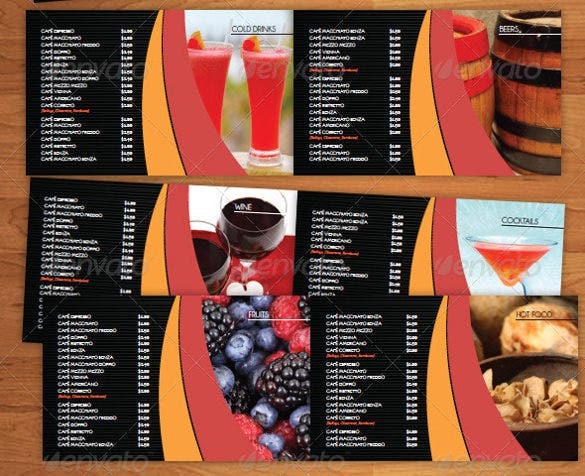 Once you enter menu items, you will get a number of design templates within fraction of a minute. 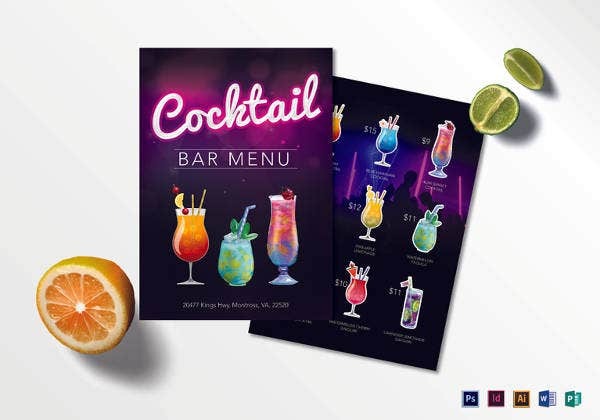 Choose your design and use it to attract customers online and offline both.Yes, it is beneficial to use the bar menu template. 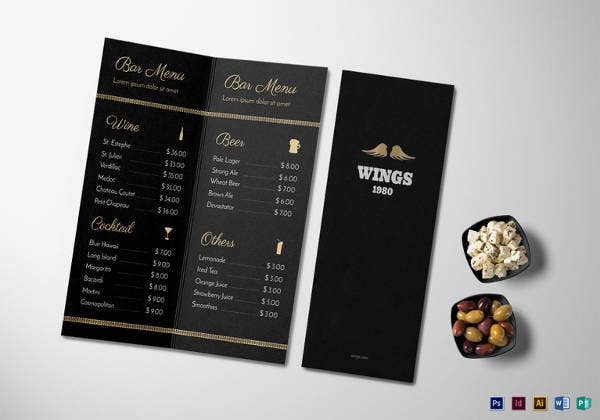 It benefits you in terms of saving you time because you need not to spend much time in designing it. 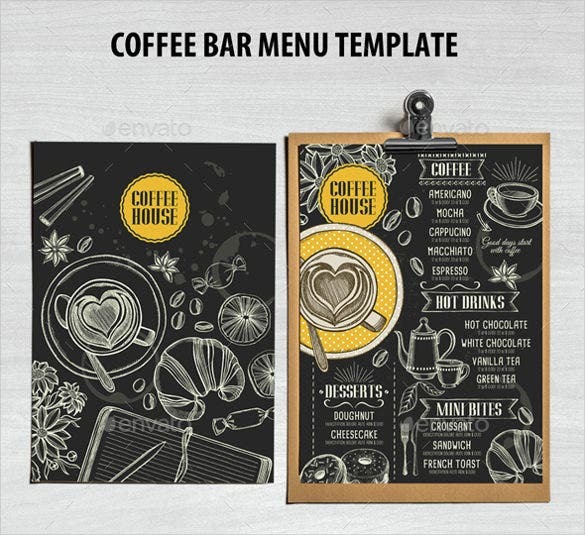 It gives you various designs to choose the best. 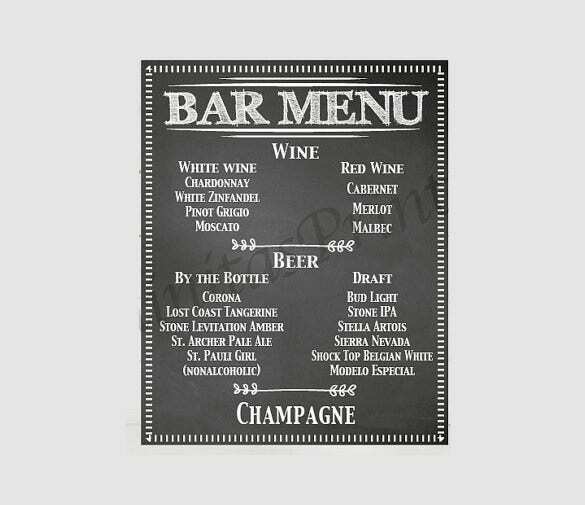 So you keep upgrading your bar menu and increase the business indirectly. 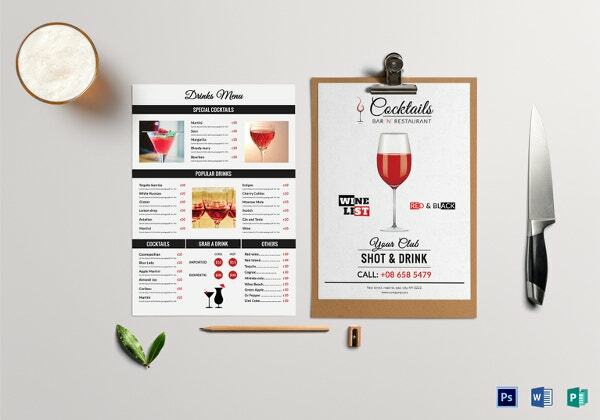 This PDF modern bar menu PSD template is a two page menu with a yellowish background with dark brown headings. 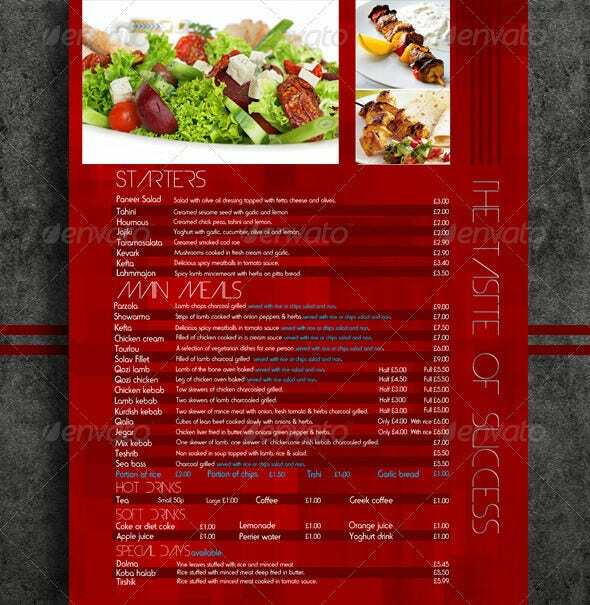 This menu can be downloaded and used as a menu or a referencing menu. 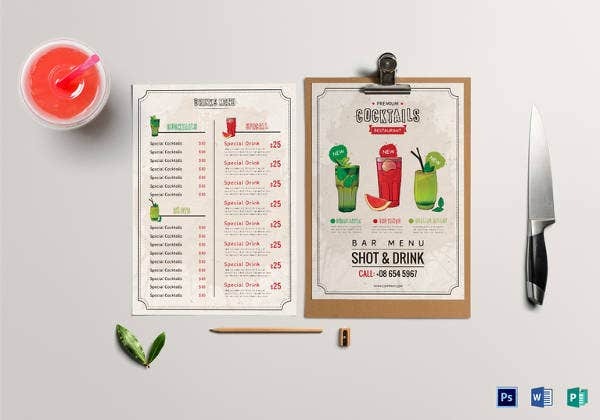 This Word stunning bar menu PSD template comes in red with the writings in white and blue. 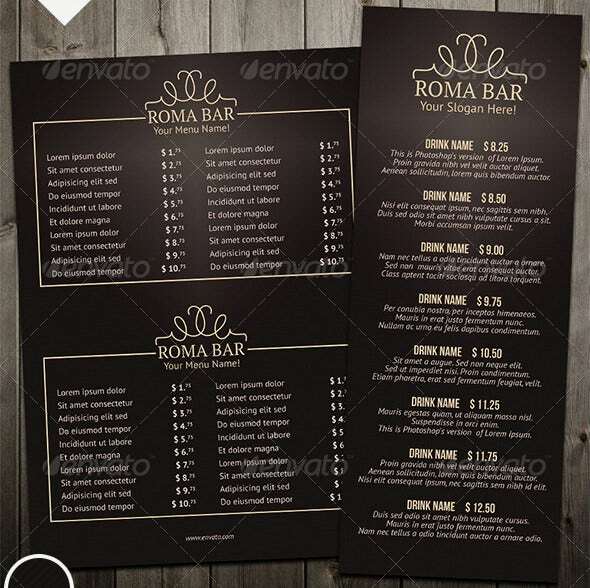 The template can be downloaded and used for reference for a restaurant looking for a menu. 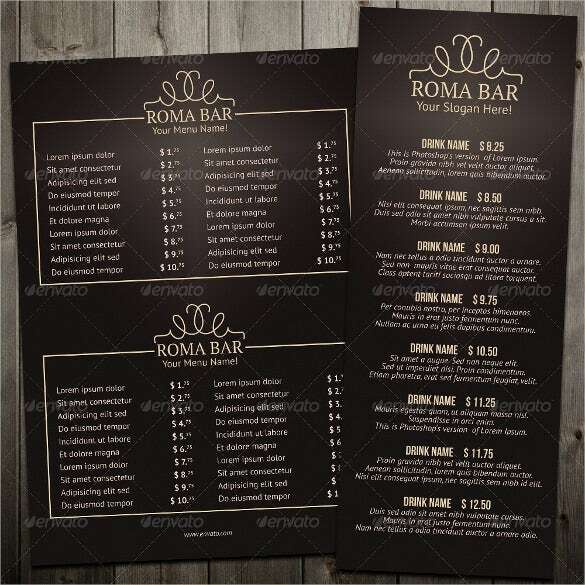 This Excel format classy bar menu PSD template comes in a charcoal cream color with black price tags. 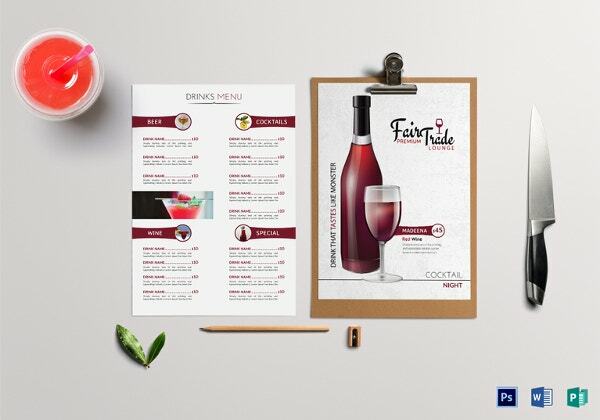 The colors give it a classy look and it is a great reference menu. 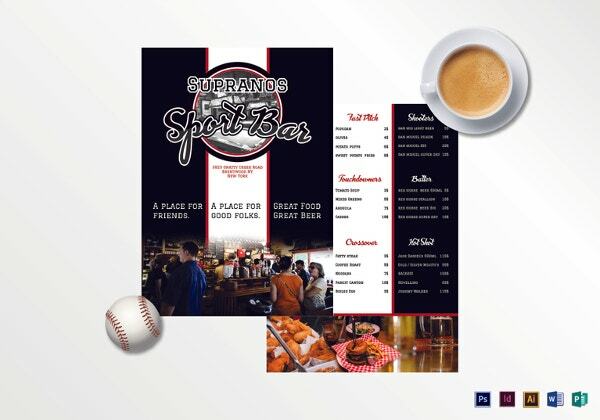 This PDF simple bar menu has three sides the front centre and back side with white, green and blue colors respectively. 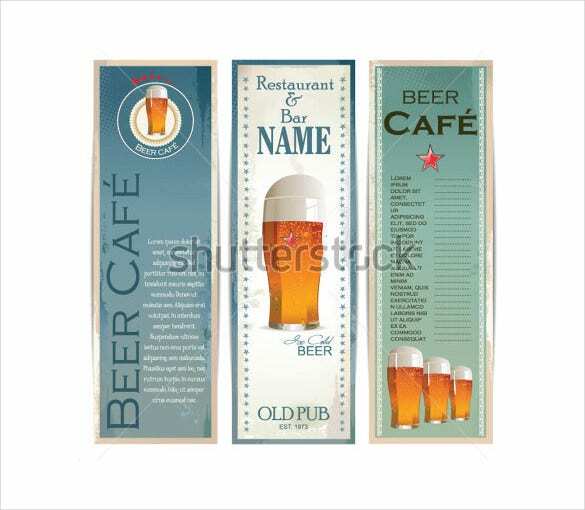 The items are aligned down in a simple manner with beer glasses at the bottom. 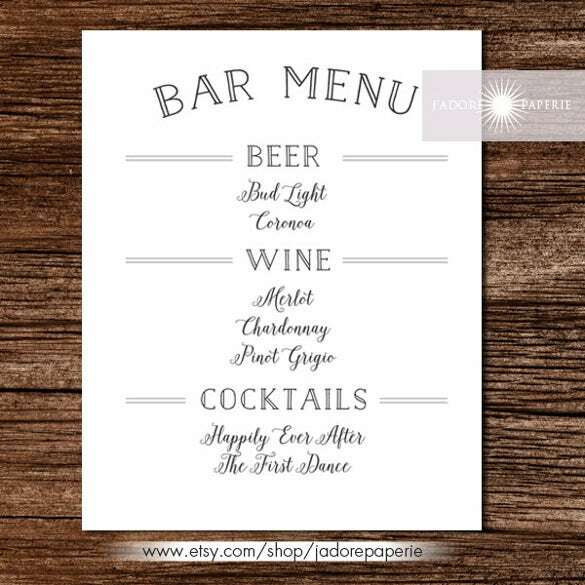 The 3 in 1 bar menu is a Word format template that comes in white and black. 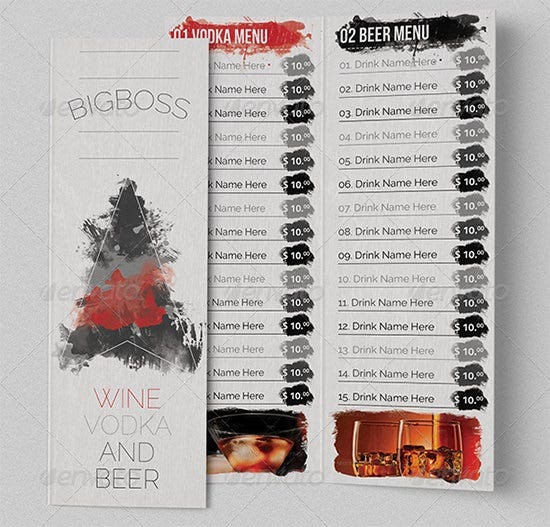 The menu can be acquired by downloading it and it can be yours to use. 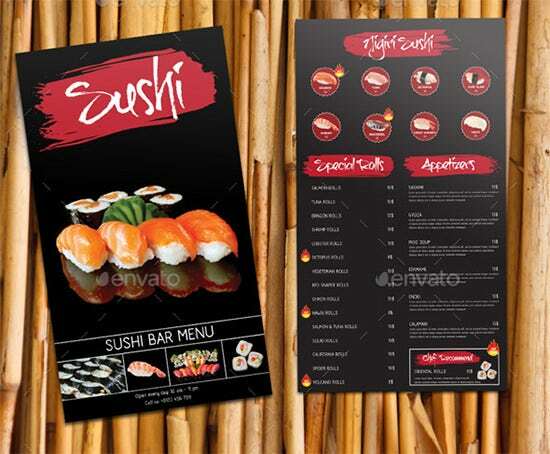 This Excel format sushi bar menu comes in black with the headings in red. 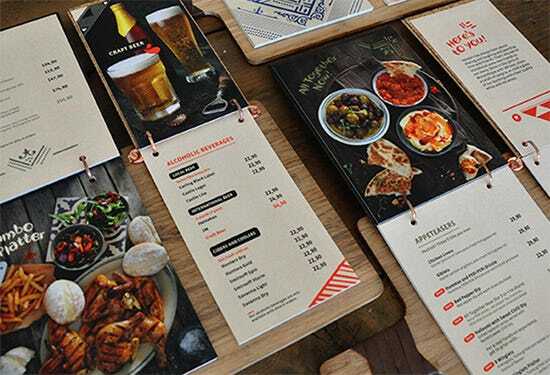 It also has images of traditional Chinese food on the pages you can download it for use. 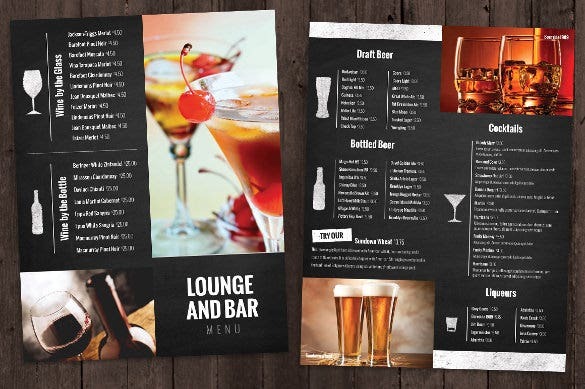 This PDF stylish bar menu has images of beer bottle glass and bottle on the cover followed by the items on the other page. 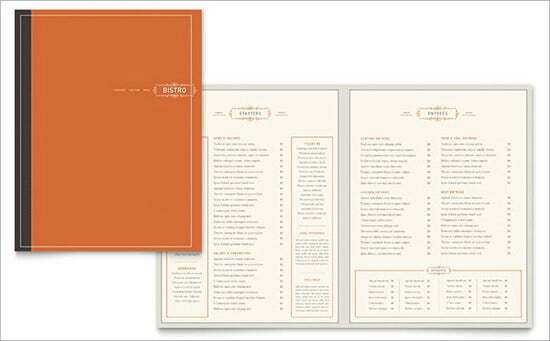 The headings are in orange and black. 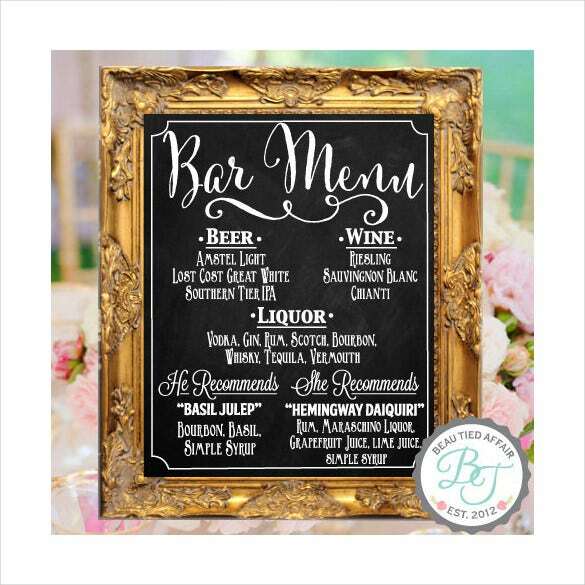 This Word elegant bar menu comes in dark chocolate and the items heading in light chocolate giving it that elegant look. 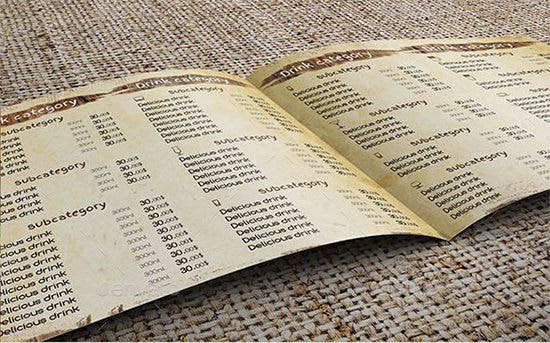 The menu comes in two types one broad the other narrow. 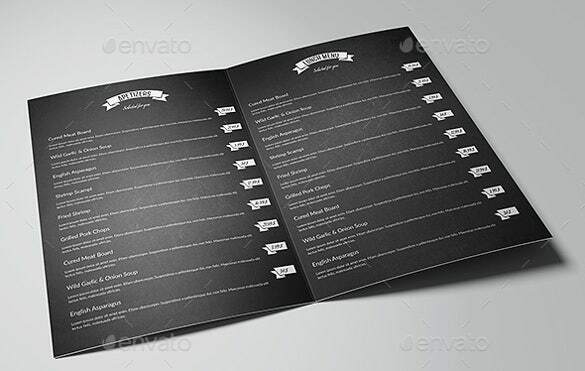 This Excel format bistro bar menu has a nice brown cover and in two pages which are in grey. 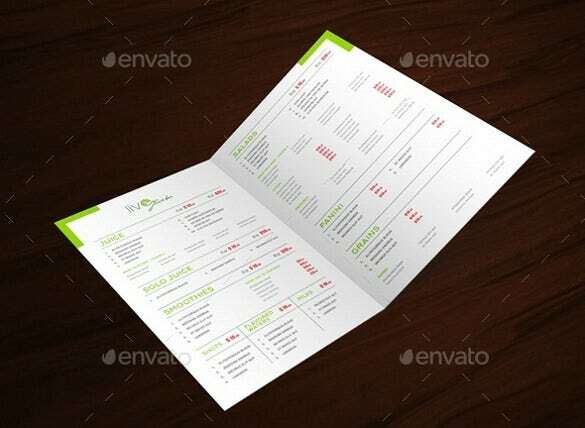 You can download it and use it as your own or as a reference. 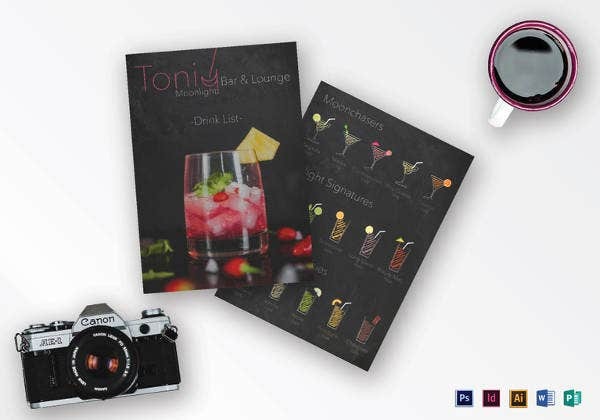 This PDF lounge bar menu comes in three different colors, red, white and black. 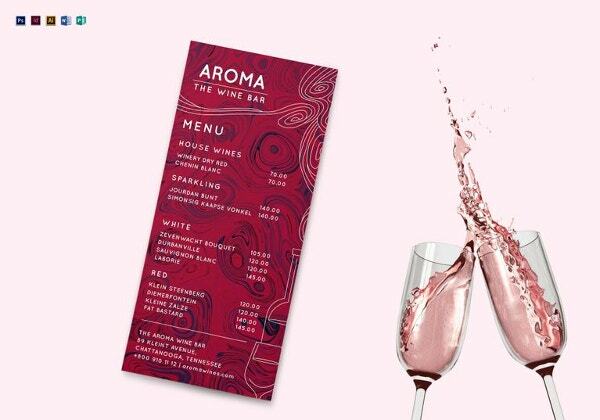 You can get your desired color and download it for your personal use at home or at your restaurant.